3 sisters, Amy, Anna & Sarah like knitting, needlepoint, crocheting, paper arts and collage. 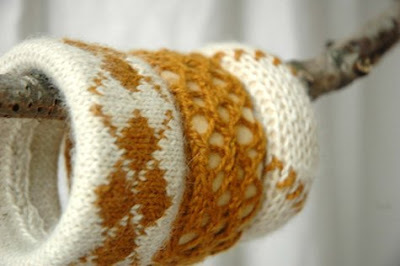 For exemple, they have found a great idea from a vogue knitting magazine. 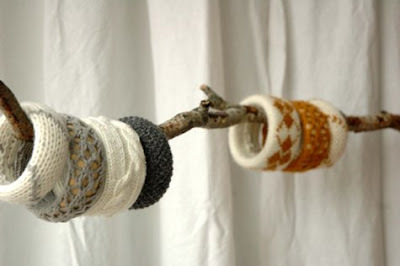 They have used wood bangles found a craft store to crochet around. 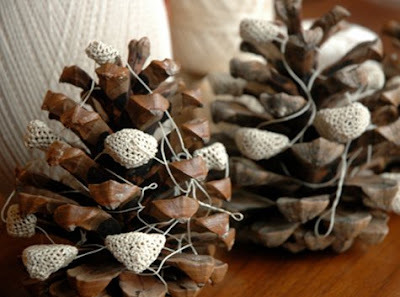 I invite you to discover their beautiful site bbb craft they’ll be sharing all sorts of crafty ideas!